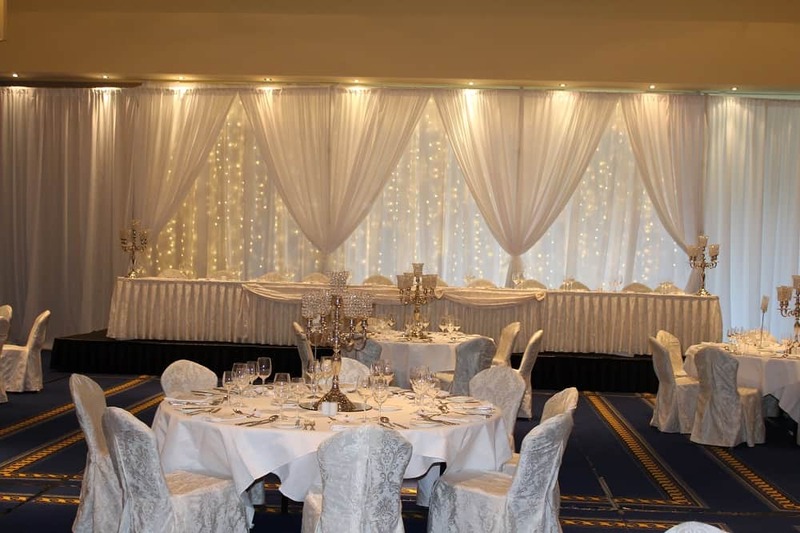 Would you like to totally transform your hotel or function room into your dream wedding reception room. 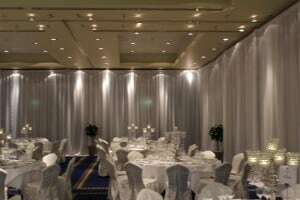 We can do this for you with our amazing Pipe and Drape system. Pipe and Drape is a free standing fabric draping system that stretches from ceiling to floor. It can be used to hide bad walls, poor décor and doorways. We can break up large rooms making them more intimate suiting smaller wedding parties or we can simply transform large room into elegant Wow-Wedding rooms. 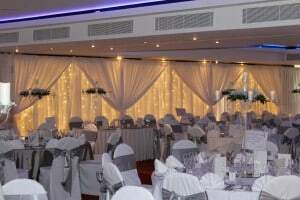 We will add fairylights and uplighters to our draping to create your ultimate dream wedding room that is unique to you. 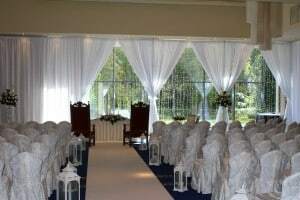 Thanks you Jonathan for the wedding favours and the sweet cart, it's was a great deal and the variety was brill. 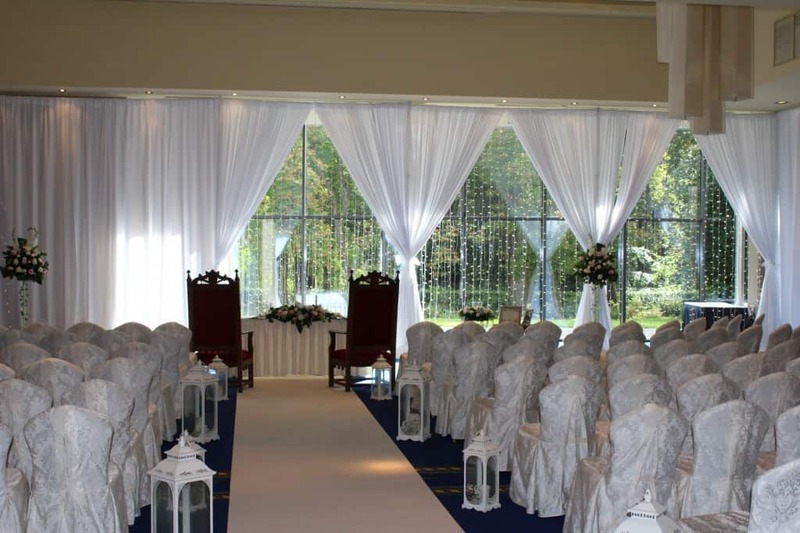 The favours were a huge hit. As you promised they would be. There were loads left the next day when we went to pick up the flowers so we took them for the car journey home. Thanks ever so much once again. Service with a big smile.